If you suffer an injury in a car accident and file an insurance claim, the insurer will likely ask you to give a recorded statement. This may seem like a reasonable request, but most accident victims do not know the reasons why the insurance company is asking for such a statement. Below, learn some of the main reasons why insurance companies want a recorded statement – and it is not because they are working hard to ensure you are fairly compensated. 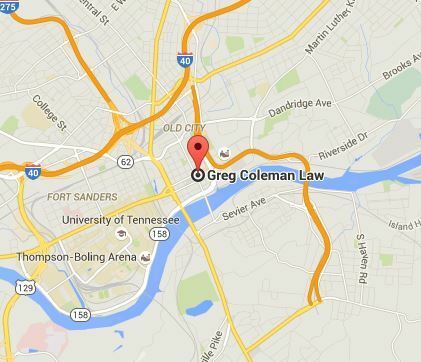 The Knoxville car accident attorneys at Greg Coleman Law are here to assist you with your claim – contact us today for a free, no obligation consultation. Insurance adjusters want a recorded statement so they can compare it against any other statements you have made about the accident. This includes statements made in a police investigation as well as depositions for a lawsuit about the accident. The reason for this is to look for inconsistencies between the different statements. Naturally, inconsistencies can occur, when you are telling your story repeatedly, over months of time. The insurance company will claim an inconsistency in your story means a lie and use this to deny your claim. Insurance adjusters often ask questions that are worded in a certain way in order to trick you into answering in a manner that could hurt your case. You may not even know it is occurring when it happens. During a recorded statement, you may be urged or even bullied into agreeing that certain things are facts, even though they are not entirely accurate. You may answer in agreement in efforts to get the adjuster to move on, and that answer can be misconstrued by the insurance company later on to serve its interests over yours. Their questions may be leading, making you sound like you do not remember exactly what happened. They may act sympathetic, saying since the accident happened so fast and you were upset after, it must be hard to remember all the details. This may cause you to make statements that appear as if you do not remember the details of the accident, even when you do. Recorded statements can be used in a cross-examination during a deposition or trial. If your recorded statement was collected months before, you probably will not remember the exact answers you gave. Therefore, contradictions may arise between your recorded statement and your statements made in deposition or trial. Even if these contradictions seem like nothing to you, the insurance company’s attorneys will play up the misstatements. They will use this to attempt to persuade the jury that the testimony you have given is incorrect. While many people think they must provide a recorded statement when an insurance company asks for it. The truth is: you do not. There are no laws that require you to make a recorded statement. You should never consent to provide a recorded statement without talking to an attorney first. If asked to give a recorded statement, tell the insurance adjuster or other representative no and be firm but polite. Never forget that the person you are speaking with works for the insurance company and it is the insurance company’s best interests that he or she is protecting. If you decline to make a recorded statement to the at-fault driver’s insurance company, there is no recourse they can take against you. If your insurance company requires a statement, you may need to give one to be in compliance with your policy. Ask your insurer how your statement will be used. In most cases, it is the other driver’s insurance company requesting a recorded statement. If you were injured in a car accident caused by someone else’s negligence, our Knoxville car accident attorneys can help you deal with insurance adjusters. We work on your side, pursuing the maximum compensation you deserve for your medical bills, lost wages, and pain and suffering. Request a free, no obligation consultation with our car accident lawyers today. We charge no upfront fees, and you only pay us if we recover compensation for you.